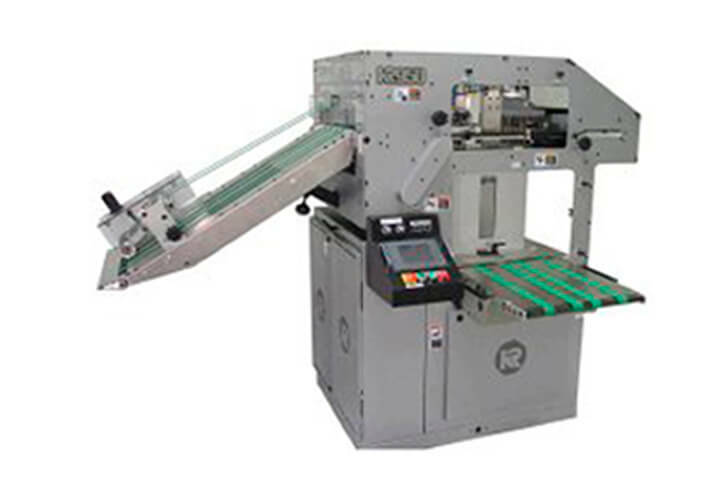 The KR950 is a combination of the latest technology and new, innovative features that allow you to use it throughout your facility on binders, inserters and mail bases. 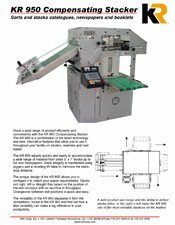 The KR950 adjusts quickly and easily to accommodate a wide range of material from small 5” x 7” books up to full size newspapers. Stack integrity is maintained using joggers and a receding lift table to minimize the stack-drop distance. The unique design of the KR950 allows you to configure it to match your space requirements. Stacks exit right, left or straight thru based on the position of the exit conveyor with no sacrifice in throughput. Changeover between exit positions is quick and easy.